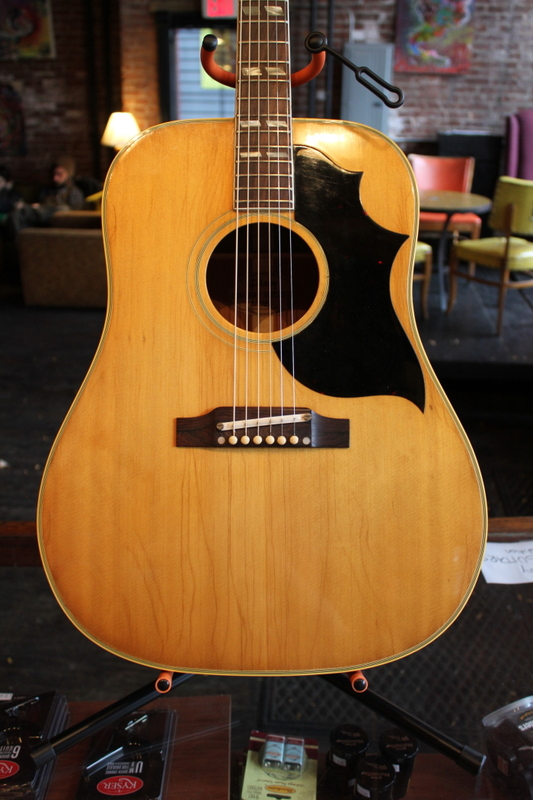 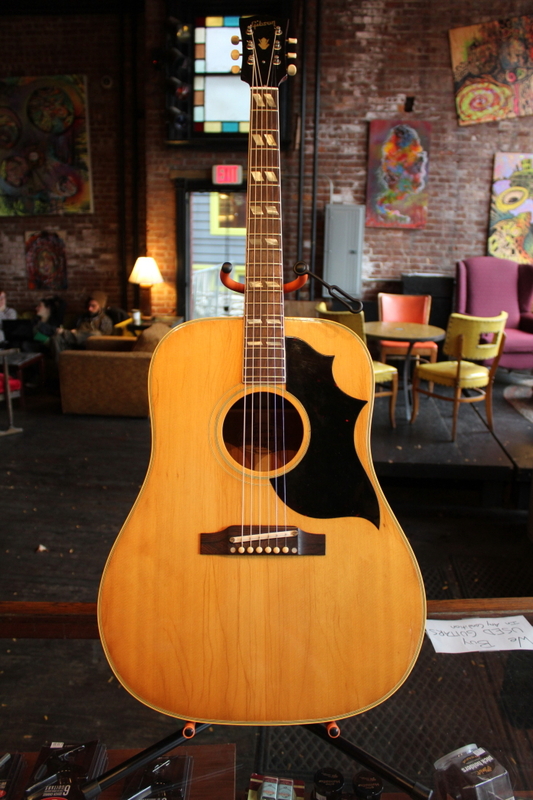 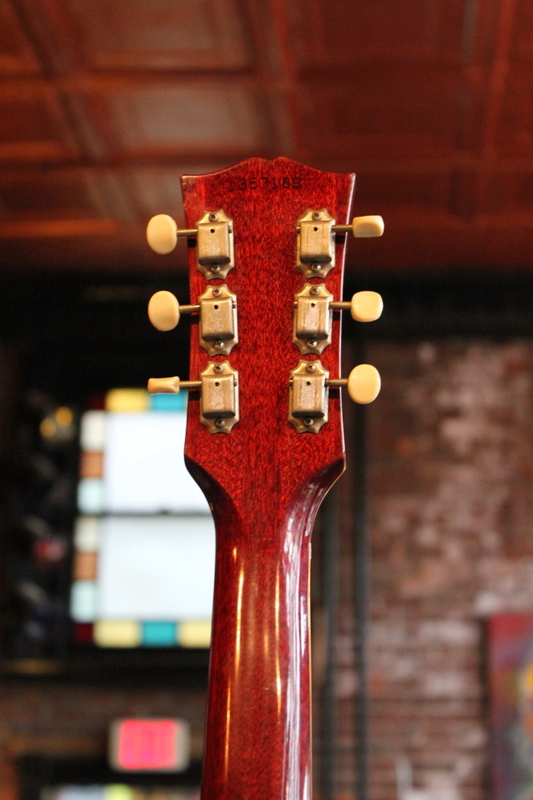 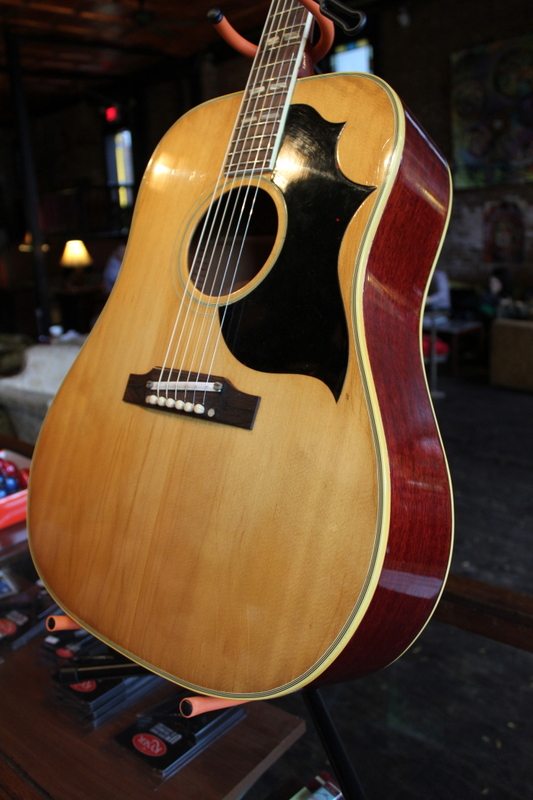 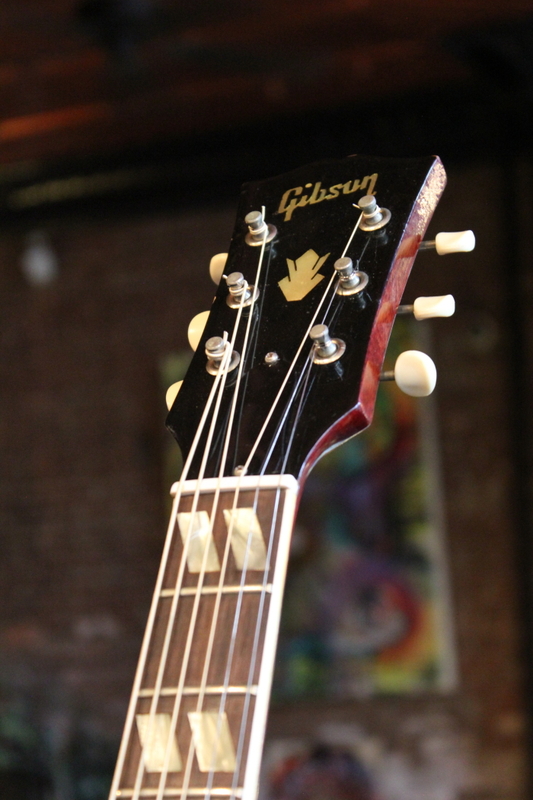 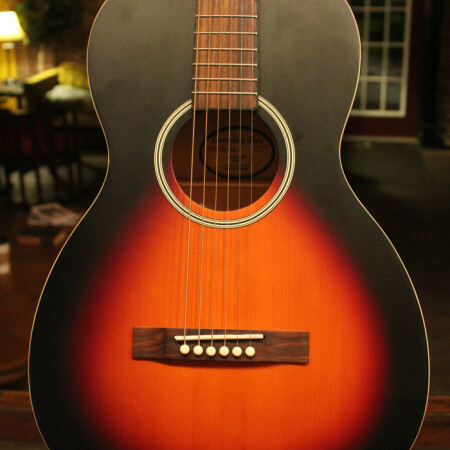 Here we have a 1965 Gibson Country Western. The Country Western was introduced in 1956 as a round shouldered dreadnought, evolving into its more well known incarnation as a square shouldered dreadnought in 1962. 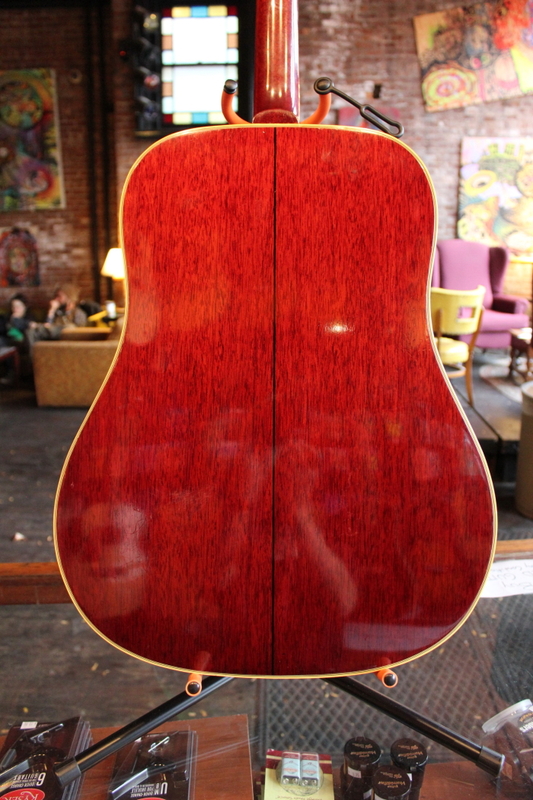 Features the three point pickguard, upscale split parallelogram inlay, and the “crown” (aka wheat) headstock inlay. 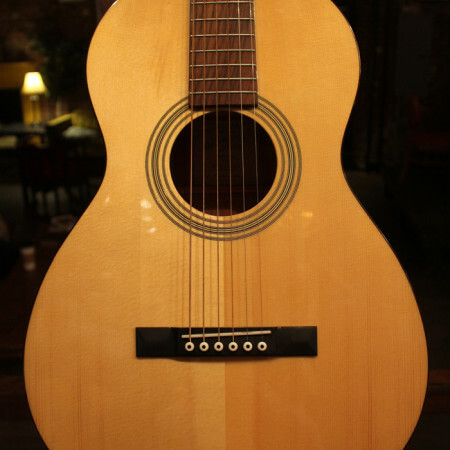 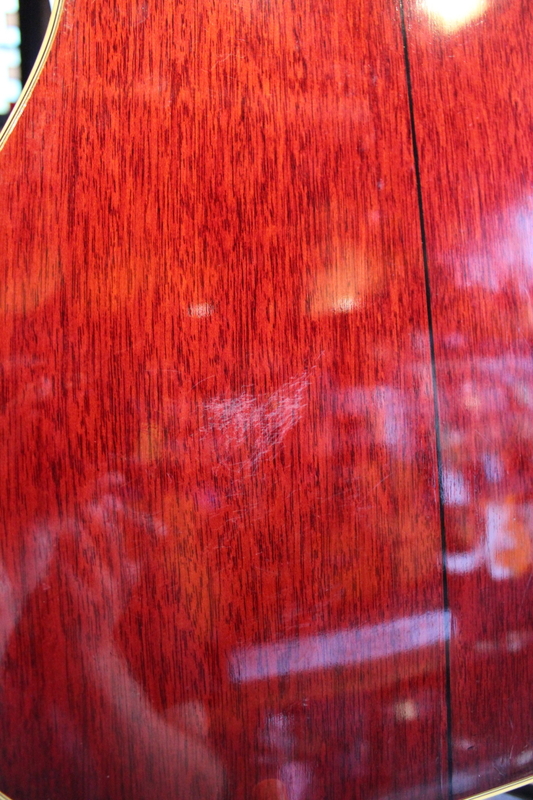 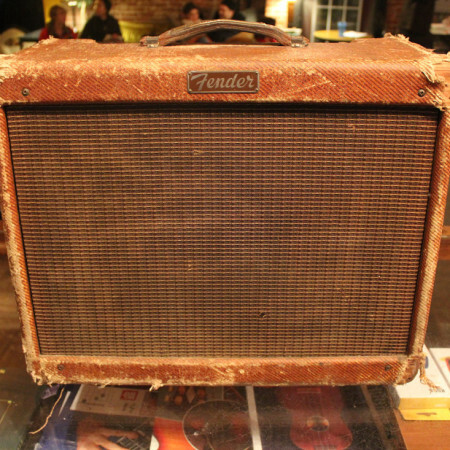 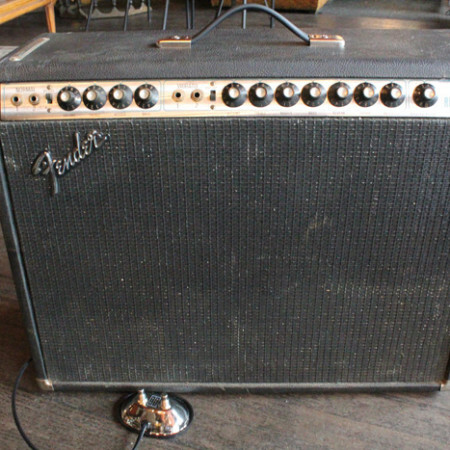 The guitar produces a very balanced tone that is great for booming out the rhythm.